A small camera to keep you safe and offer peace of mind without having to pay monthly subscription fees. 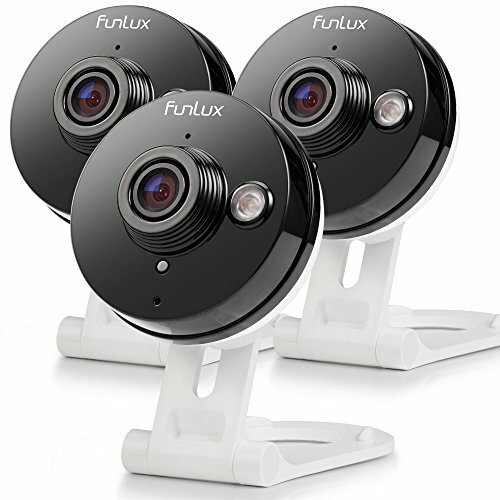 Turn on the camera, download Funlux APP, add the device by following the on-screen instructions in just minutes. Enjoy vivid 720P HD live demo all the time. Moreover, you can get motion alerts right on your smartphone, no matter where you are, so that you never miss a moment. You can also schedule alerts by specific times and dates. With two-way audio, this mini camera enables you to Listen and Talk to your kids and give the babysitter last-minute instructions. See more of your space with 115° wide angle and put your mind at ease. This camera provides colorful image at day time, and give you an owl eye at night. Share happy moments with your families and friends. Take pictures & Record videoes via APP, and download your recorded vidoes on your phone. 【Free Cloud Service】: All users are eligible for a 1-month free cloud of our 7 day cloud recording plan. Cloud Service requires no subscription and no credit card credentials. With the plan, you can review, save, and share footage at any time, and reduce false alerts with cloud intelligence.